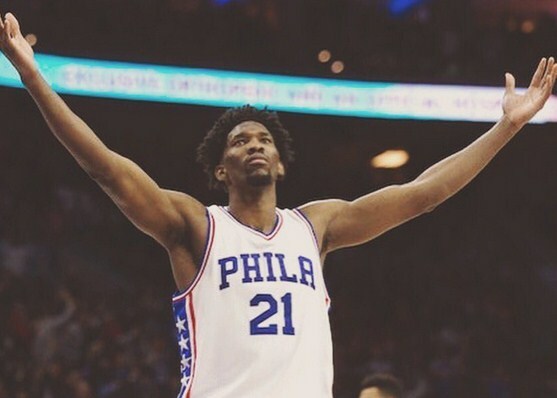 Philadelphia bet its future on Embiid, signing one of the more talented, yet injury-prone, players in the game to a league maximum contract extension. A person familiar with the situation tells The Associated Press that Embiid and the Sixers have agreed on a $148 million, five-year extension and it could reach even more if the 7-foot center reaches certain incentives. The person spoke on condition of anonymity Monday because the contract has not been officially announced. Embiid’s career has been riddled with injuries dating to his college career at Kansas and all three seasons with the Sixers. Embiid, the No. 3 overall pick in the 2014 draft, played only 31 games last season and had minor surgery in March to repair a torn meniscus in his knee. He has yet to practice or play in the preseason and was not in Boston on Monday night for Philadelphia’s preseason game. He had more pressing matters to tend to back home. The 23-year-old Embiid, a native of Cameroon, was only recently cleared to participate in 5-on-5 drills but the Sixers must feel confident enough in his health to offer him the max deal. Or worried enough to lose him down the line without striking a deal. With his social media savvy and dominant offensive game, Embiid has become an instant fan favorite in Philadelphia. He’s recently been spotted at Eagles games cheering on winning kicks and been caught on tape by fans running the city streets and playing late-night tennis. But his popularity hasn’t matched his production. The Sixers slapped him with minutes restrictions in his rookie season, even when he was healthy. The Sixers also held Embiid out for at least one game in back-to-back sets and his limited playing time was one reason he was not a strong enough candidate to win Rookie of the Year. He averaged 20.2 points and 7.8 rebounds last season. He helped the Sixers win eight of 10 games in one stretch in January, a stunning run for a team that won 10 games the previous season. Embiid had 32 points and seven rebounds in a Jan. 27 game against Houston and has not played or practiced since he was hurt. The Sixers are counting on Embiid and No. 1 overall picks Ben Simmons and Markelle Fultz to carry the team from the bottom of the league into an Eastern Conference playoff team. The Sixers will surely be protected in the deal if Embiid continues to deal with injuries that have him more on track to become the next Greg Oden instead of the next Anthony Davis. But the flashes of brilliance have convinced team president Bryan Colangelo and ownership that Embiid was worth the risk. He didn’t pick up a basketball until a few years ago, when a friend informed him that very few 7-footers succeed in soccer. A couple months later, Embiid was lured to a basketball camp in the capital of Yaounde run by NBA veteran Luc Mbah a Moute, one of just two players from Cameroon to have played in the NBA. Mbah a Moute persuaded Embiid’s parents to let him move 6,000 miles to Florida, and helped enroll him at Montverde Academy, one of the best high school programs in the country.